Maybe you're from out of province, or maybe you don't have the gear, whatever the case you DO want to go camping! 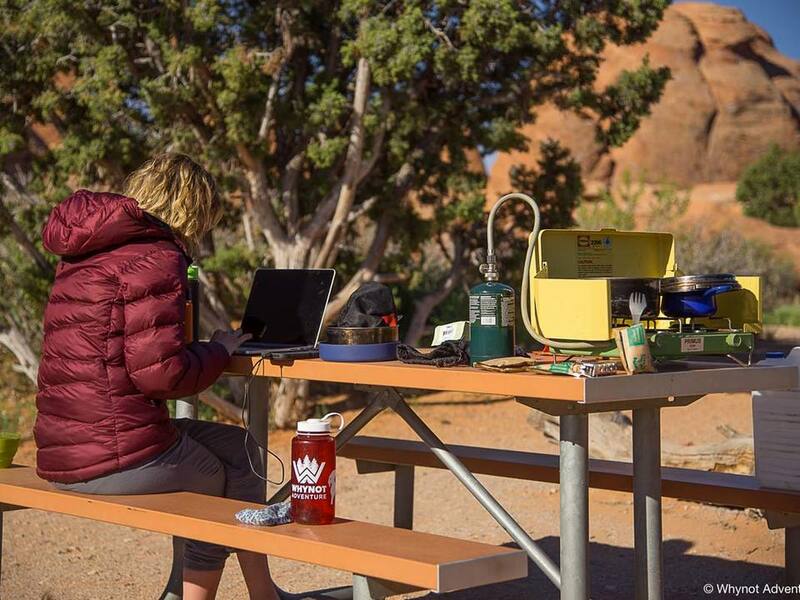 Don't fret, we have all the gear you'll need for a perfect camping trip (solo, friends or family) conveniently assembled in a nice package, ready when you are. Oh, and if you want, we'll even pack your food! Front Country Package Main Photo- Please note, package does not include Karlene, her MacBook, and a few other items. Oh, and the primus stove you'll get is about 30 years newer than the one in the picture. Picture this- your camping trip is as simple as arriving at Jake's Landing, picking up your package and heading to your campsite to set up. When your trip is through, just pack it back up and drop it off with us. We'll take care of the unpleasantness (un-packing, drying, cleaning, sorting, putting away) while you're off doing whatever you want to be doing. Like I mentioned, we'll even pack your food too. If you have done any research on TripAdvisor you've probably gotten a sense that we're kind of good at 'food'. Portions are usually huge and we always do our best to make sure it's fresh, local, healthy and simple where possible. You just pick from our menu and we'll tailor it to any dietary restrictions or preferences you indicate. Simple. Also, we've been around the park a few times and we know all the best campsites. We want you to have such a good time that you convince your friends to come and visit us, so you can count on us getting you the best sites available! Experience has shown this package can be a tad confusing in terms of pricing. We want to offer a bit of extra info to help with any clarification you may need. Each outfitting package includes items which are shared in the group, such as pot sets, camping stove and campsite. These items are covered by the per night flat rate. Other items are for individual use only, such as mess kits and sleeping bags These items are covered in the per person per night rate. 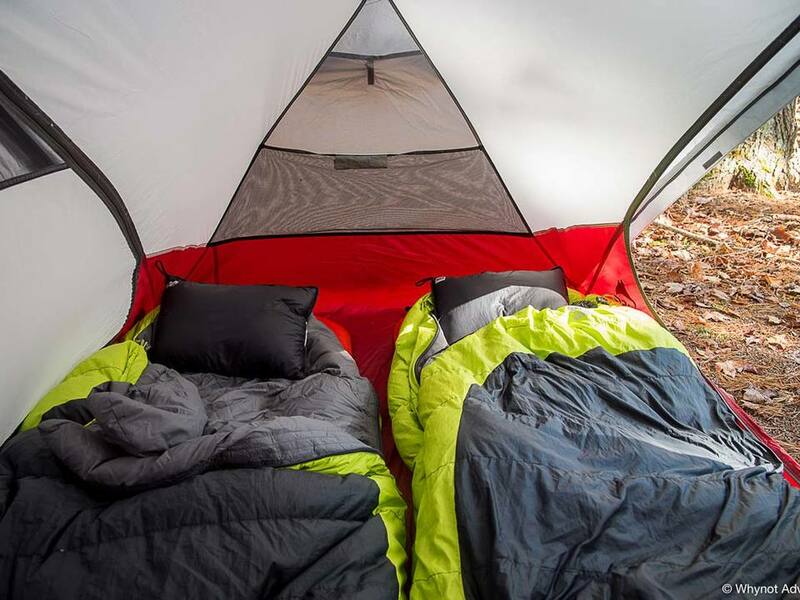 The two-person tent. I love MSR tents- they're well engineered, easy to set up, roomy and airy. Can you tell I need to get some more pictures of the Front Country Outfitting Package? :) Send me yours!